Two more Galileo full operational capability (FOC) satellites have reached French Guiana in preparation for a late-March launch from the European spaceport there. The seventh and eighth Galileo satellites — the third and fourth FOC spacecraft — will be launched together by Soyuz during last week of March, following the European Commission’s endorsement of the resumption of Galileo launches that had been interrupted after the previous Soyuz launch last August placed satellites into the wrong orbit. The reason for the malfunction was traced to an installation error in the Fregat upper stage that delivers the satellites into their final orbits. A hydrazine fuel line was bracketed next to a liquid helium line, freezing the hydrazine and resulting in Fregat’s faulty orientation. 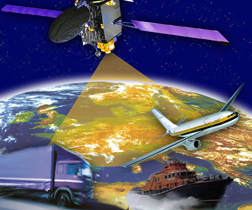 Arrival in French Guiana is the final stop in a production and test line process that begins with the satellites’ manufacturing by OHB in Bremen, Germany, with their navigation payloads coming from Surrey Satellite Technology Ltd in Guildford, United Kingdom. The completed satellites are then delivered to the European Space Agency’s ESTEC technical center in Noordwijk, the Netherlands, for testing under simulated space environmental conditions, including acoustic noise and thermal vacuum simulations, as well as being connected with the worldwide Galileo ground network to check their operation.